Karl Eikenberry had already bought a house in Winnetka. The former United States ambassador to Afghanistan had been appointed to serve as the first executive director of the Buffett Institute for Global Studies last November. Administrators were gushing about all the new opportunities the well-connected former U.S. Army leader and Stanford University faculty member would bring when he assumed the position Sept. 1. But debate over Eikenberry’s appointment mounted during Winter Quarter. Faculty and students questioned whether someone with military experience but without a Ph.D. would be the best person to lead an academic research institute. The Buffett Institute serves as a hub for Northwestern’s programs and research on global issues. As concerns arose over whether he could serve in an environment where many opposed his appointment, administrators took measures to secure Eikenberry’s place at the university. Days before news broke on April 14 that Eikenberry would no longer serve in the position, Provost Dan Linzer and executive vice president Nim Chinniah flew to California to meet with the former ambassador, Faculty Senate president Ed Hughes said. But their efforts failed to convince him to come to NU. Eikenberry informed administrators he was pulling out of the position, the provost told The Daily. Eikenberry declined to comment for this story. Hughes, a Kellogg professor, learned on April 2 that Associated Student Government was putting forward a resolution that week opposing Eikenberry’s selection with the support of some faculty. As a result, he scrambled to conduct his own investigation. Hughes embarked on a “crash course” to learn about the appointment, calling members of the search committee that weekend and questioning them on the process. Hughes met April 4 with the Faculty Senate executive committee, the leaders of the organization. They decided to deepen the investigation, aiming to write their own resolution before the faculty and student senates each convened two days later. At a March 30 meeting of ASG Senate, students introduced a resolution asking the University to withdraw Eikenberry’s appointment because he lacks a Ph.D. and they worried his military experience made him unfit to lead the Buffett Institute. Spanish and Portuguese Prof. Jorge Coronado, one of the faculty organizers who opposed Eikenberry’s appointment, stood with the students as they introduced the resolution. Hughes said he had spoken with Eikenberry in March, when the former ambassador expressed concern over whether the “environment would be constructive for his leadership.” The next month, Eikenberry canceled a visit he had scheduled to the University, Hughes said at the April 6 Senate meeting. At that same meeting, Communication Prof. Robert Hariman, a member of the executive committee, said Eikenberry’s “appointment might be in peril,” according to the meeting’s minutes. That weekend, Linzer and Chinniah went to California, Hughes said. “As the students got more engaged, central administration got more and more concerned,” said Coronado, who is co-director of Andean Cultures and Histories at the Buffett Institute. In March 2015, the University announced the launch of a search committee for a new leader of the Buffett Institute. Chaired by former University President Henry Bienen, the committee had 11 members including Chinniah, Kellogg dean Sally Blount, vice president for research Jay Walsh and Ron Braeutigam, associate provost for undergraduate education. It also included five additional NU professors and Ivo Daalder, the president of the Chicago Council on Global Affairs. The search committee was announced following a more than $100 million donation by Roberta Buffett Elliott (Weinberg ‘54). Elliott’s gift benefited the Buffett Institute and increased international student financial aid. Bienen said the committee’s charge was broad and a wide range of candidates were considered. The search committee worked with an independent search firm to identify candidates for the position. Search firms provide a list of names ranging from 50 to 100 people, Bienen said. Members of the committee also reached out to candidates they thought might be interested. He said roughly 30 to 40 people applied for the position. Bienen reached out to Eikenberry, whom he knew through their work on the Council on Foreign Relations, a nonprofit international affairs think tank. Eikenberry retired from the military in 2009 as a lieutenant general after serving 35 years. He was then chosen by President Barack Obama as the U.S. ambassador to Afghanistan from 2009 to 2011. He is now a faculty member of the Shorenstein Asia-Pacific Research Center at Stanford. Candidates, Bienen said, included academics, ambassadors and members of the policy community. In the end, Bienen said the committee interviewed about 10 people and submitted three finalists — in no particular ranking — to University President Morton Schapiro and Linzer, who selected Eikenberry. Much of the criticism about Eikenberry’s appointment has been directed at the search committee. Some faculty said the committee was not transparent and that it didn’t have enough meetings. Jake Julia, associate vice president and associate provost for academic initiatives, staffed the search committee and said it met four times. Faculty raised concerns about Eikenberry’s candidacy as early as September, said political science Prof. Jacqueline Stevens, one of the main professors organizing opposition to the appointment. She said she sent an email to Bienen on Sept. 30 outlining faculty concerns, asking the search committee to consider other candidates and to invite Eikenberry to give a talk at the university. Some faculty took their criticisms public in February when 46 faculty signed a letter to The Daily asking Schapiro and Linzer to rescind Eikenberry’s appointment. In the letter, faculty said they had concerns about Eikenberry’s lack of academic experience, namely the fact that he does not have a doctorate. “The Ph.D. is a marker of faculty who are engaged in research as well as teaching, and especially at the intersection of research and teaching, which is what the university is all about,” Coronado said. Faculty were also worried about a speech he made at the 2014 Chicago Humanities Festival, in which he discussed using the humanities to advance U.S. soft power, which is a persuasive approach to international relations typically involving appeal rather than coercion. Schapiro and Linzer wrote their own letter to The Daily in response, reaffirming their support for Eikenberry. “Karl stood out in his global engagement and visibility; access to a broad array of scholars, government officials, and world leaders; and ability to integrate the diverse backgrounds and viewpoints of the military, diplomatic corps, and academia,” they wrote. Coronado said some people have tagged him and other faculty members as “against the military” for their opposition to Eikenberry’s appointment. He said a military background can be coupled with an academic one, but Eikenberry didn’t have that combination. “The issue was that we had somebody with absolutely no background or training in this sort of profession being put into a post with enormous funds and authority,” Coronado said. After months of back-and-forth letters arguing over the former ambassador’s selection to lead the Buffett Institute, debate was first opened on the floor of the Faculty Senate on March 2. At that meeting, senators and invited guests discussed for about an hour the merits and flaws of a man who was never in the room. At the March meeting, the executive committee invited Linzer — who oversees all faculty — which frustrated some professors who felt people could be nervous about criticizing Eikenberry after the provost spoke in support of him. Stevens, who is director of the Deportation Research Clinic at the Buffett Institute, said Linzer was allowed to “dominate” the time at the meeting and faculty members were inhibited from speaking candidly while he was there. Coronado, who had spoken on the Eikenberry issue at the March Faculty Senate meeting along with Stevens, had no clue the Eikenberry appointment would be discussed at the next meeting in April. But two-and-a-half hours before the April meeting started, Coronado and Stevens were invited to speak. The two professors, along with Ginsburg, rushed to make it to the 5 p.m. meeting. “We had no idea what was happening,” Coronado said. The Faculty Senate was considering a resolution in support of Eikenberry’s appointment, citing evidence from the executive committee’s investigation that the search had followed standard procedures in selecting him. An email with the meeting’s agenda and documents pertaining to the committee’s findings had been sent to senators about 90 minutes before the governing body convened, violating a Faculty Senate rule that the agenda must be dispersed at least five days in advance of the meeting. Hughes said although he regretted the agenda’s late release, he said the executive committee was under “extreme time constraints” after learning about the ASG resolution opposing Eikenberry’s appointment days before the meeting. He also said since the beginning of the year sending out the agenda a day or two in advance — instead of five — had become standard procedure. The Senate voted in support of Eikenberry’s appointment with 32 in favor, five against and nine abstentions. At the May meeting, Newman introduced a motion to declare the Senate vote in support of Eikenberry invalid because of rule violations, including dispersing the agenda and accompanying documents late, entertaining a motion to cut off debate even though it interrupted a guest’s speech and failing to ensure both sides of the issue had equal opportunity to share their perspectives. The motion failed, upholding the Senate’s April vote in support of the appointment. Newman said her main concern was not about Eikenberry himself but with the Senate leadership “disregarding” its own rules. Although Newman said she thought it was normal for the provost to speak at the March meeting, she would like to see the Senate as a whole take a more “independent course,” separate from the administration. Ginsburg said not only did the Senate fail to play a useful role in the issue but it became a “tool of the administration” in rallying support around Eikenberry. Hughes said he’s familiar with the accusation that Faculty Senate leadership has been a “lackey” of the administration amid the Eikenberry debate but that, in reality, their decision to pursue the issue was independent from the administration’s suggestions. Right after the April meeting adjourned, several faculty and administrators — including Linzer — went directly to the ASG Senate meeting. There, Weinberg senior Neha Reddy and SESP junior Matt Herndon were preparing to deliver their resolution recommending the University rescind Eikenberry’s appointment. Minutes before Reddy and Herndon were called up to speak, then-ASG President Noah Star, a Weinberg senior, pulled them aside, saying Linzer had advised him to be wary of potentially defamatory language in the resolution. Reddy said Star’s warning caught her and Herndon off guard. Star said he later apologized to Reddy and Herndon, saying he did not intend for the message to be alarming. He said his goal was just to inform them of the conversation he had with the provost. Reddy also approached Stevens, who seemed “furious,” Reddy said. Stevens said she went up to Linzer before the students delivered their resolution to ask how it could be construed as defamatory, but she said he did not indicate specific sections. When she followed up over email, he did not provide specifics, according to emails viewed by The Daily. When asked about the incident, Linzer said he was just trying to make sure the students were safe. He said the Office of General Counsel alerted him of potential concerns with the resolution. With Eikenberry no longer an official part of the Buffett Institute’s future, Linzer and Walsh, the vice president for research, have pushed up discussions about long-term planning for the Institute. Originally, Linzer said the discussions were planned for the fall once Eikenberry would have arrived on campus, but they are now slated to begin this spring. The executive director position, however, remains vacant. 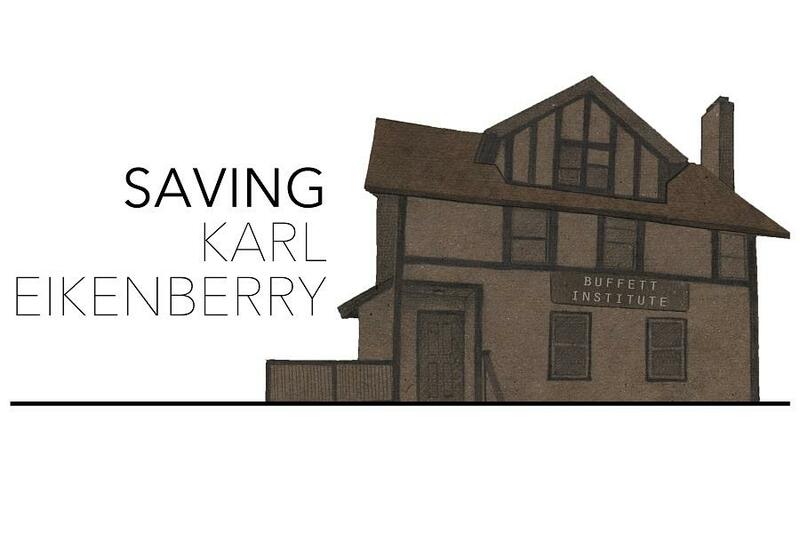 Sociology Prof. Bruce Carruthers, director of the Buffett Institute, said Eikenberry’s decision to withdraw is “a missed opportunity,” but he said the Institute hasn’t slowed down its activity. “Don’t assume that because there’s not a big ugly fight going on that there’s nothing interesting going on,” he said. Schapiro told The Daily in April he was disappointed Eikenberry would not be joining the University. Eikenberry will speak on campus Tuesday at a Buffett Institute event in recognition of National Military Appreciation Month. He is scheduled to discuss the challenges of the U.S. military’s all-volunteer force model and the political, economic and foreign policy implications of the military’s organizing principles.